It is that time of year again where 75,000 plus people come together to grab all the samples they can for free! :) Honestly if you watch people, you would think that is the only reason they came to the show! I read that it might be as high as 100,000 this year!!! Not looking forward to that. Last year was crazy & so hard to get to speak with companies when it is that busy! The roads are a mess too.. BUT it is fun to see people & companies I know PLUS all the interesting products! Me and GiGi pumping it up for the camera! She is the sweetest, kindest FUNNY lady ever! Here is the post from when I first met her. Hmmmmmm, I may have collected some bags too! 🙂 I went after things that sparked my interest & then I shared afterwards too! I am sure I will come home with bags again. I have to really get selective because it is so hard to get through this HUGE show! ExpoWest 2014/2015 BEST Finds – Workout Socks, Knee Braces & Dryer Balls – I am still using these & most of you already know about my love of my Incrediwear items. Hubby is hooked too! 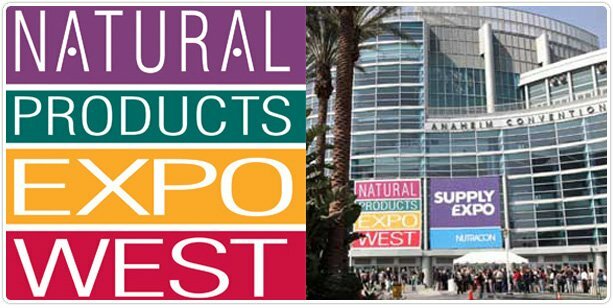 ARE YOU GOING TO EXPOWEST THIS YEAR? Let me know & maybe we can meet! Due to the crazy days of this show, I will most likely be MIA from a lot of my FB page posts. I am sure that will make some of you not into politics very happy! 🙂 You can always go to my Truth2Beingfit FB page which does not have politics. My Instagram is mostly free of it too! Can’t wait to share with you all the new information I find there!!! You and GiGi together! How cool is THAT! Expo East happens less than 2 hours away from me but I never go. I’m so darn lazy. I’m sure I would love it if I showed up. Previous Post: Sometimes I Hate It but I Do It Anyway! Next Post: I Cannot Believe She is 18!